Established in 2008 and headquartered in Dallas Texas as a Woman-Owned Business Enterprise, inoVo Services is an information technology services firm that builds, transforms, and delivers IT services in The Americas, Europe, The Middle East & Africa. Our reputation is defined by our commitment to innovation and service operational excellence that comes from more than 20 years of managed services experience and a proven track record of creating, implementing and executing innovative solutions. Provide reliable, cost-effect and best-in-class business solutions with integrity, honesty, and innovation that exceed our client’s expectations. Our InoVision is to be a global technology services organization that is recognized as providing industry-leading solutions. Lori focuses on portfolio, Client and strategic partner development. Close collaboration with industry leaders provided the vision to create a company that was designed to meet the growing market needs and demands that providers face. She has more than 20 years of experience in the IT Services industry working with the leaders and influencers in the Global Top 20 Managed Services companies, depot repair and logistics organizations and leading OEMs. Her prior experience in developing emerging market delivery strategies and operational frameworks in Europe, The Americas, and Asia-Pacific; creating service support strategies with Asia’s leading ODMs to improve customer experience making her uniquely positioned to lead inoVo. Tanja has worked with inoVo since its inception. She currently oversees the firm’s finances. Prior to inoVo she was a senior financial analyst for PC Service Source where she was instrumental in the management and financial oversight for their largest business unit. Previous to that she lead the delivery of managed service and asset recovery programs for Aurora Electronics where she managed multimillion dollar Dell, UNISYS and IBM programs. She also held financial positions at Prudential Financial and Business Media Resources. Kevin has global responsibility for operations, service delivery and will share the responsibility for strategic direction of the company. Kevin joins inoVo from WorldWide TechServices where he served as Senior Director, Sales and Client Management. He was responsible for managing both the sales and program management teams for all Global IT outsourcing providers. Prior to this role Kevin served in various management roles in his 12 year career at WorldWide TechServices. Before joining WorldWide TechServices, Kevin worked for Dell based out of Round Rock Texas where he held various roles in the warranty services group. Diego has global responsibility for in region operations, service delivery, regional P&L management and will share the responsibility for strategic geographic expansion of the company. He has more than 10 year’s experience in IT service management for Fortune 100 companies in the Pharmaceuticals, Banking and Retail Verticals, and Global Managed Services providers where he held key positions in transition management and Managed Service Delivery. 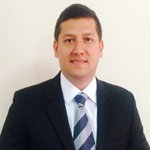 Diego excels at putting our customers first and delivering services that regularly exceed Client expectations. At inoVo, we are not simply advisers, but active participants in providing information technology services and solutions that deliver bottom line results.